The No-No’s are a high-energy party/dance band based in Amherst, MA that has been playing around the Pioneer Valley in Western Mass since 1999. Consisting of Drums: John Crankshaw, Bass: Dean Zimmerman, Sax: Steve Kurtz, Guitar/Vocal: Dan Kaplan, Keyboard: Mitch Pine, Percussion: Alan Kurtz, and vocal: Danielle Lorenzo and Leila Tunnell, this 8-piece has been playing a variety of venues for very happy crowds for over nearly 20 years. 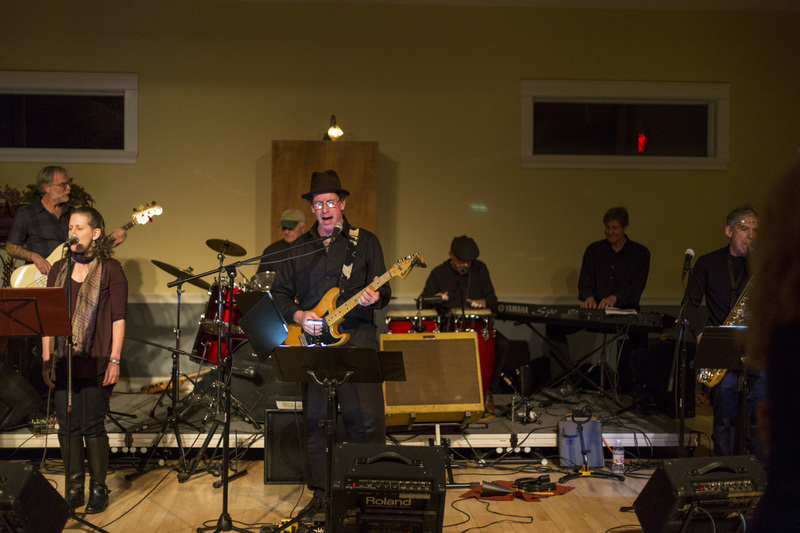 Originally started as a house party band the No-No’s have gone onto to play lots of private parties (weddings, retirement, birthday, office, politics), as well as bars and clubs around the Pioneer Valley. For 7 years the band has been the headline for a Benefit Dance Party to raise money for local food security. This event typically draws over 300 people for a sold-out evening of fun dancing which raises over $5000 for local food-security charities. A typical No-No’s show will feature a wide variety of songs – from high energy party tunes (Late In The Evening, Rosalita) to R&B/soul classics (Hold on I’m Comin’, Signed Sealed, Delivered), to dance/funk tunes (Don’t Stop Til You Get Enough, Brick House), danceable Rock tunes (American Girl, Beast of Burden), and ballads, reggae, standards, country, and blues thrown in for good luck! The band is professional, tight, responsible, and always gets the crowd going for a good time. We can play gigs up to 5 hrs and can travel up to 100 miles. We have our own PA and can also play cocktail hours (jazz standards, etc) or acoustic sets.